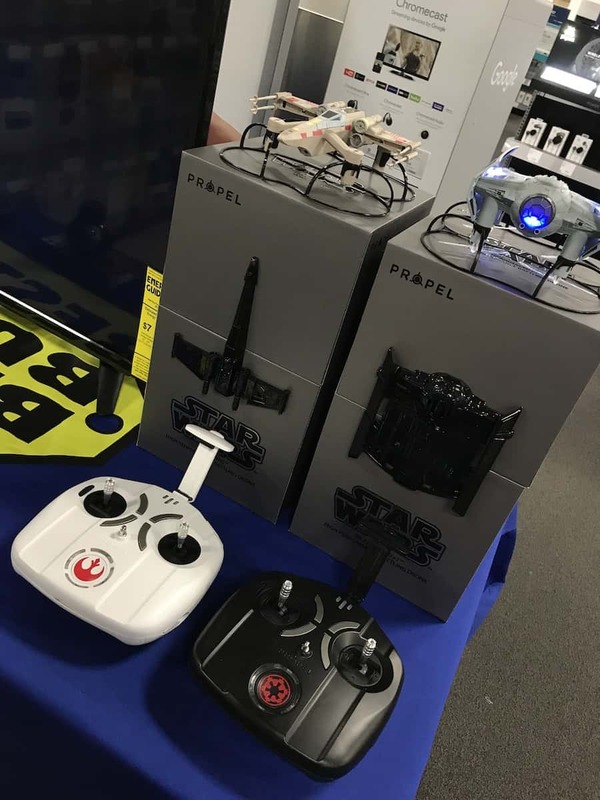 It’s a Star Wars Force Friday kind of weekend and some of the best tech and toys showed up in stores. If you’re a Star Wars fan like me and my family are, then this is a pretty cool time. 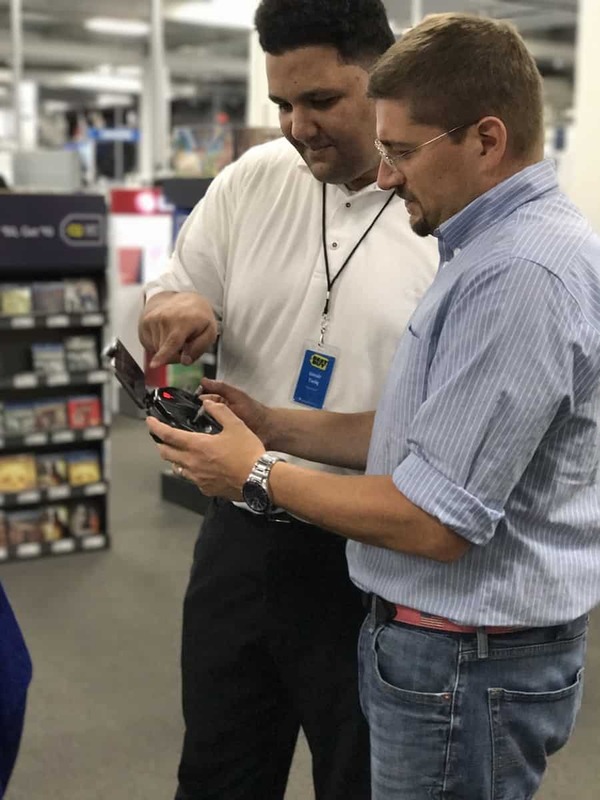 One of the best offerings I’ve come across was at Best Buy. They have a great selection of the latest goodies. Is it too early for Christmas shopping? I think not. The selection was big and covered just about anything and everything. Movies and TV shows, video games & accessories, music CDs & vinyl, toys & collectibles, even laptops and other gear. It was all there and it was awesome. 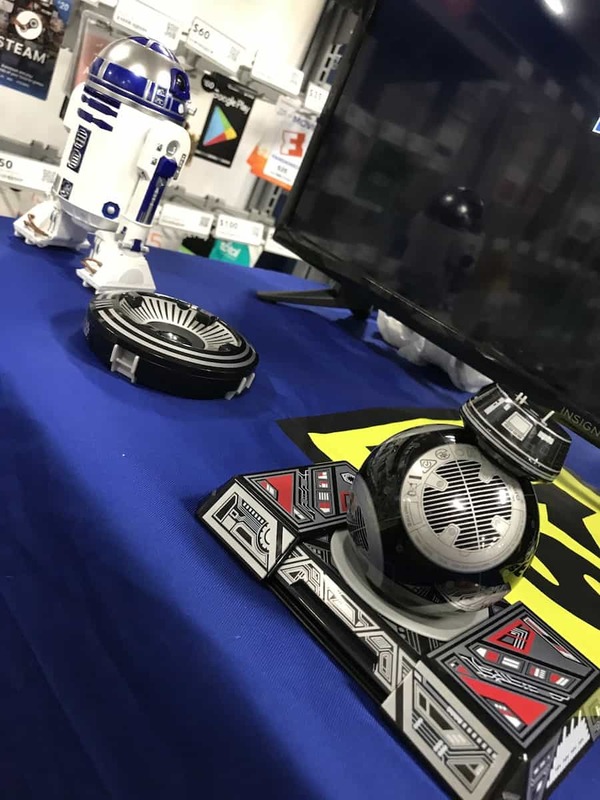 The coolest for me had to be the Sphero droids and the Propel drones. These are awesome…so real bad boys right there. The ease of use is off the charts and the fun would last forever. 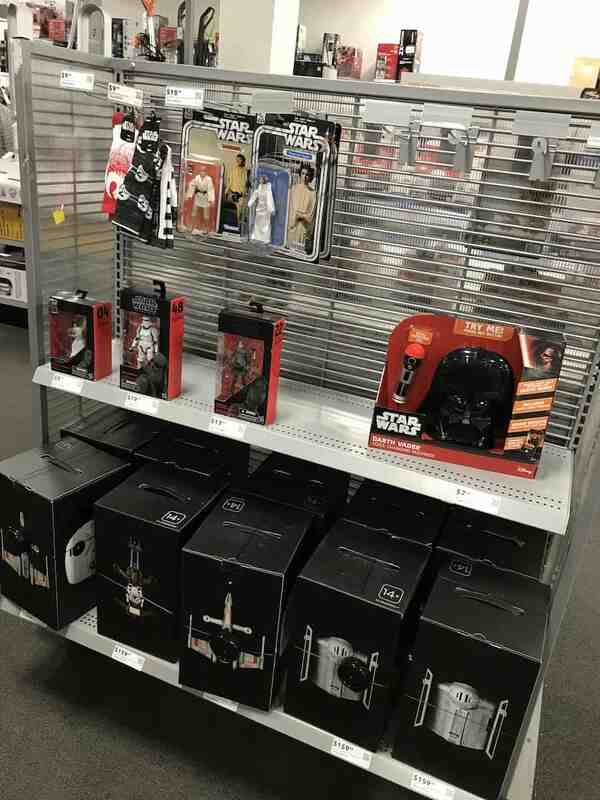 I can’t imagine anyone would get tired of playing with these…whether a huge Star Wars fan or just a casual one. They are great because they are fun “real world” toys that utilize the latest app-based controls and gaming. It’s a lot of fun combining the two worlds. 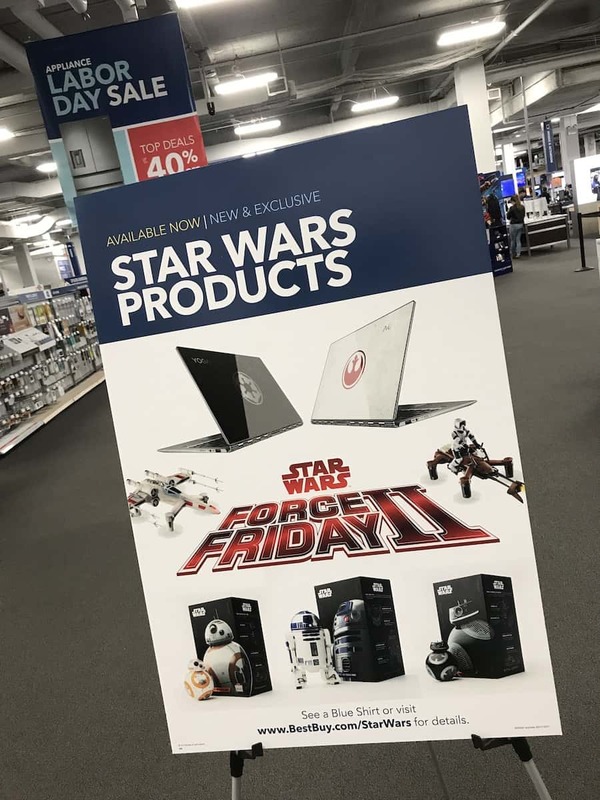 The best part of the Force Friday weekend had to be the live demos of the two products. It’s cool to read about but it so much better to actually get to see them in person and use them. You really get a chance to see what it’s all about and enjoy them. BB-8™, BB-9E™, and R2-D2™ are astromech droids from a galaxy far, far away…. Powered by the new Sphero App-Enabled Droids app, drive your droids, send them on patrol together, and more. Roam iconic ship interiors and memorable locations from the Star Wars™ saga through augmented reality and the Droid Trainer accessory. Each droid has different holographic environments to explore. These droids span decades of adventure from Star Wars saga – iconic R2-D2 is a veteran of the Rebel Alliance, BB-8 is a trusty astromech droid of the Resistance, and BB-9E is the First Order’s rolling menace. The specialized tech in these droids make them unlike any other. Watch them interact together and view films from the Star Wars saga with BB-8, BB-9E, and R2-D2 reacting by your side. Immerse yourself in the Star Wars galaxy. These are the droids you’re looking for as the control is great and the movements are very authentic and true to character. 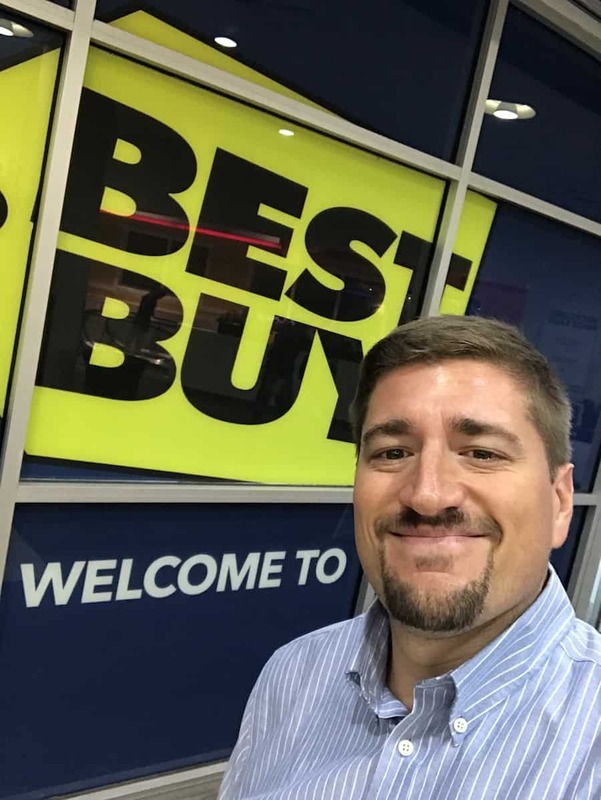 Check out this quick demo video! That’s pretty slick, right? Can’t you see yourself playing with this, I mean your kid playing with this for hours!?! I know I can. It’s just a lot of fun. Some even have a Watch With Me Feature where you watch films from the Star War’s saga with your droids and they will react to the movie! That’s crazy. And since this is 2017, there’s a slick AR Experience where you can roam iconic ship interiors and memorable locations from the Star Wars saga, and more. Each droid has different holographic environments to enjoy. 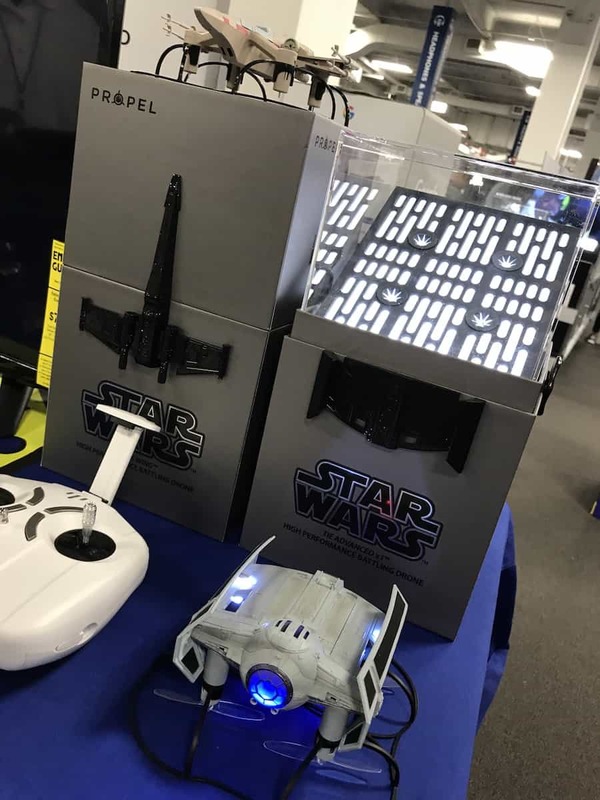 If you are more into taking your drones to the skies, then you can bring the magic of flight to a whole new dimension with the Propel Star Wars High Performance Battle Drones. 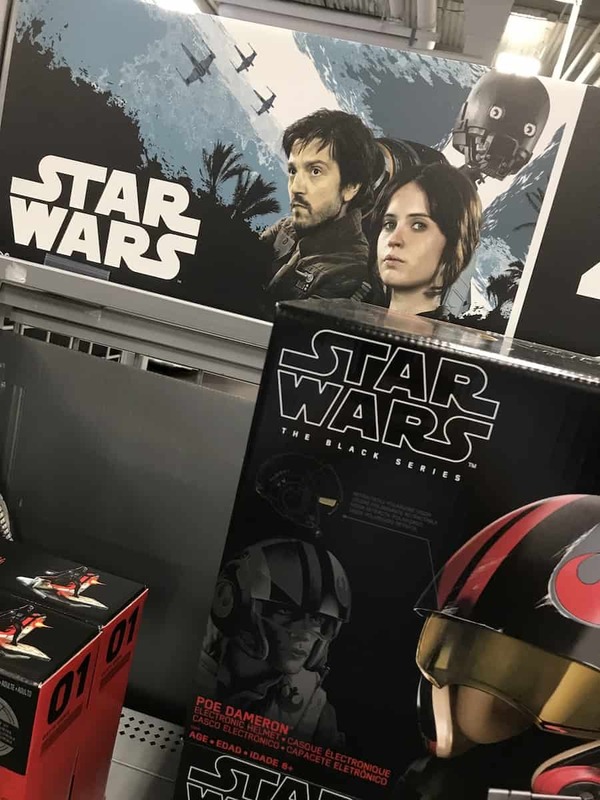 Choose to fight for the Rebellion or the Empire through piloting the T65 X-Wing Fighter Star Ship, The Tie Advanced X1, or the 74Z Speeder Bike drones. 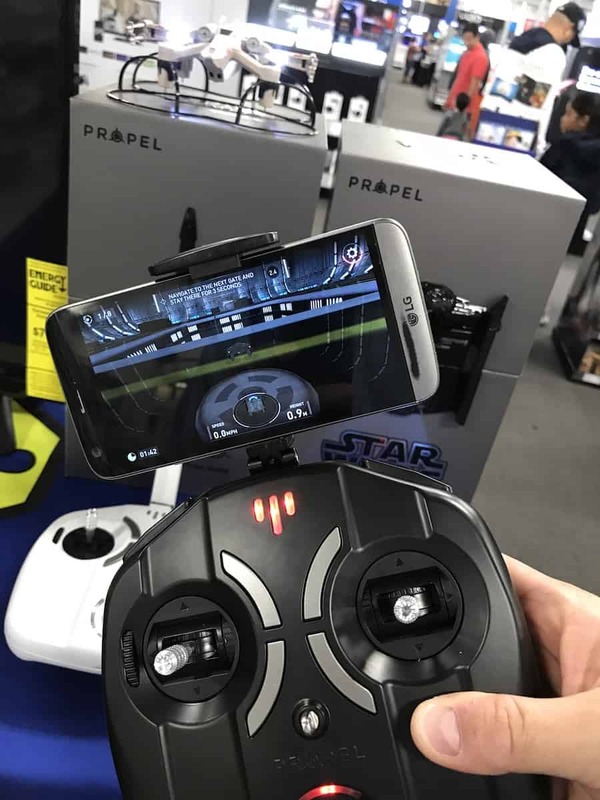 Released on September 1st, 2017 for both IOS and Android devices the Star Wars Battle Drone Companion App will again create a groundbreaking immersive experience for drone pilots. 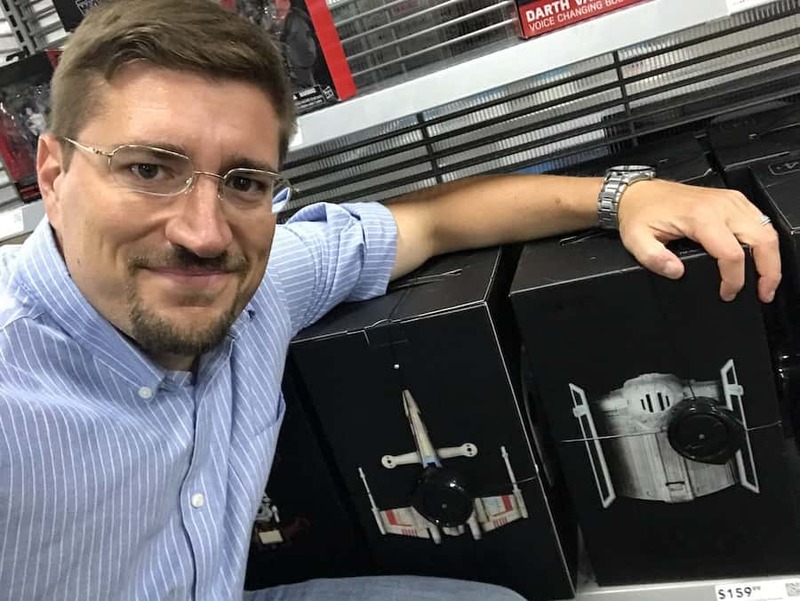 The app is bridging the gap between virtual gaming and the real world as Battle Mode allows Star Wars Battle Drone Pilots to experience the thrill of multiplayer dog fights that are inspired by the battles and missions of the Star Wars Universe. The Star Wars Battle Drones allow up to 12 players to simultaneously battle against one another in flight using actual infrared lasers. Each drone comes equipped with both emitting and receiving laser diodes that register strikes through visual, audio, and vibration feedback in the hobby grade controller. Reverse Propulsion (Drones usually pull air down to fly but the Star Wars Battle Drones push! 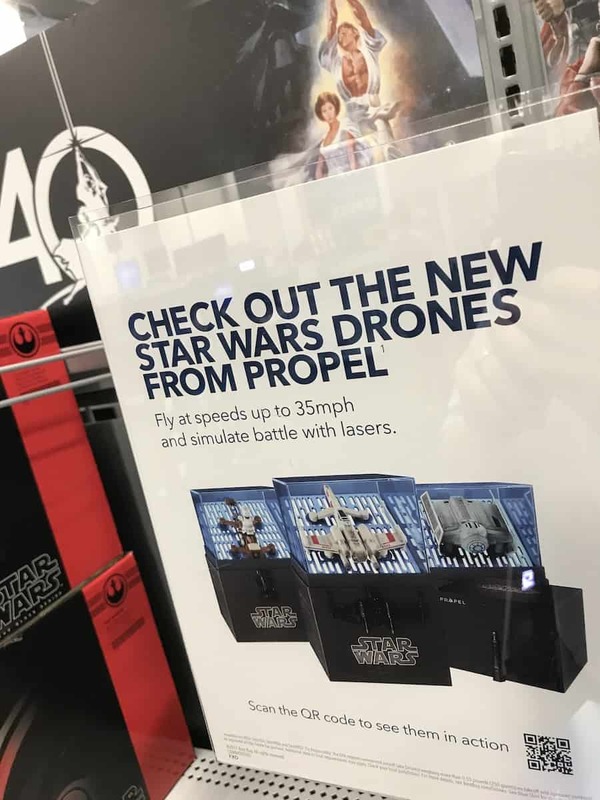 This “reverse propulsion” technology has enabled Propel to pioneer Star Wars Drones which fly like they are supposed to). There’s even a really cool Collectors Box that’s exclusive to this drone! The box comes complete with a re-chargeable Light up display base for showing off your drone. From the first time, you open the collector box and every time thereafter it will play famous sound tracks from the Star Wars Universe. Hear the Star Wars theme song or the Imperial March of Darth Vader, listen to the sounds of each ship and iconic Star Wars characters. Ahhh! All that stuff looks amazing! 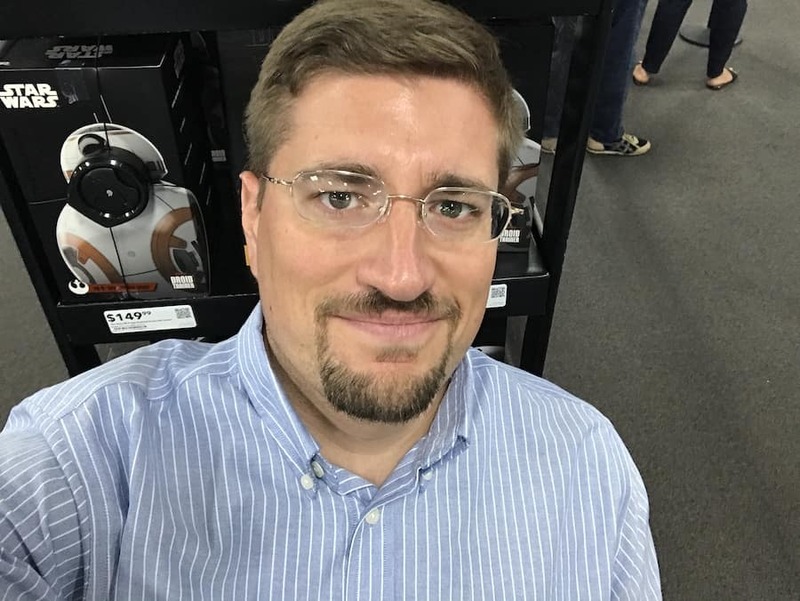 My husband was all about the drones, but I thought the droids were super cute. They were my fave. Love it! 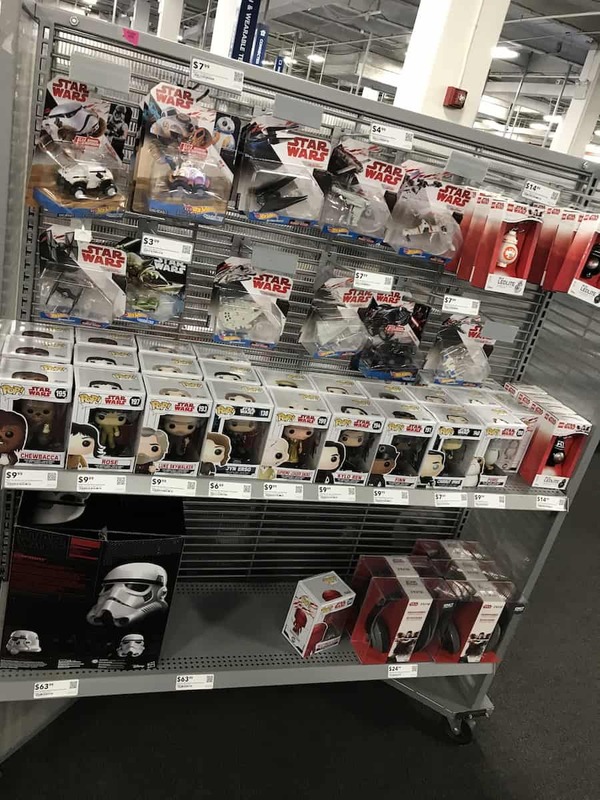 Wow, they have so much cool Star Wars stuff! Very cool technology. I think I’ll have to check this out with my boyfriend! This is awesome!! I can’t wait to check this out with my kids!! That’s totally worth checking out especially if you’re a fan of the franchise! There are so many things to see, the droids and the drones are all pretty cool!